Allergies are a big deal in our house right now. They’re a major source of stress and anxiety. My son has them, but we’re not sure what he’s allergic to. No one in my family or my husband’s family has serious allergies. However, by the time my son was a couple months old it was clear that he had a pretty serious dairy allergy, based on testing from the GI specialist. He still had reactions to the traditional hypoallergenic formulas so he had to drink an elemental, prescription formula until he was about a year old. Each time that he has tried dairy products since then, he’s had severe reactions. And now it seems that he might also be allergic to soy, according to his pediatrician. All along he’s had nasal allergy symptoms, as well as watery eyes. Next week we have an appointment with an allergist to try and figure out the source of his different — food as well as seasonal — allergies. My son has — like all toddlers! — had a lot of colds. 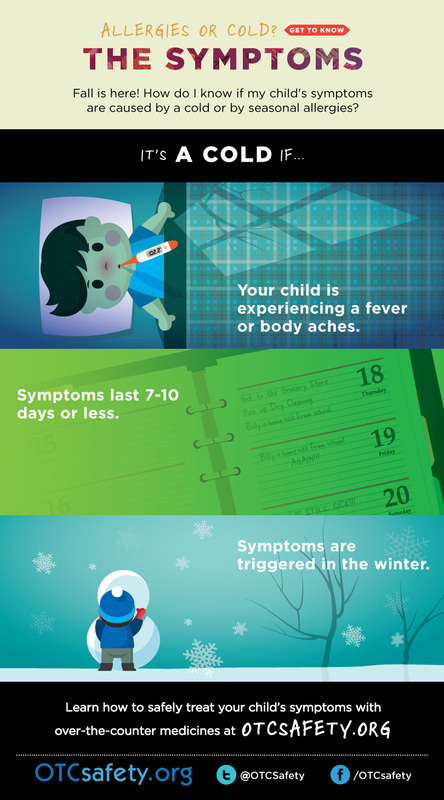 It’s been critical for me to understand the difference between cold and allergy symptoms so that I know how to treat his symptoms effectively and safely. 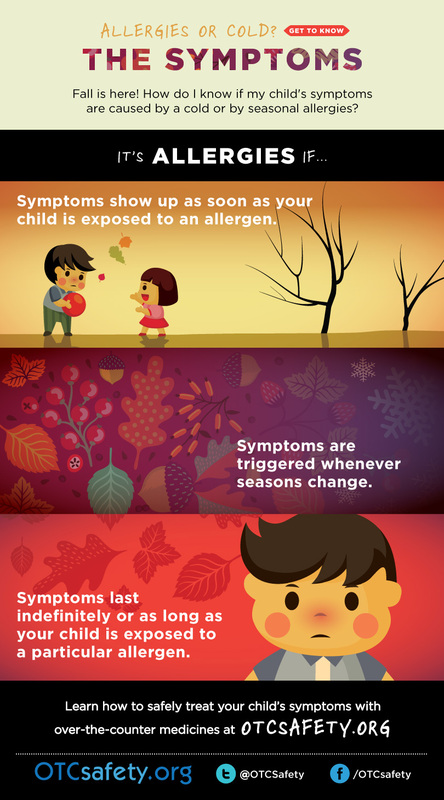 If your child does have allergies, it’s important to know how to treat him or her safely. 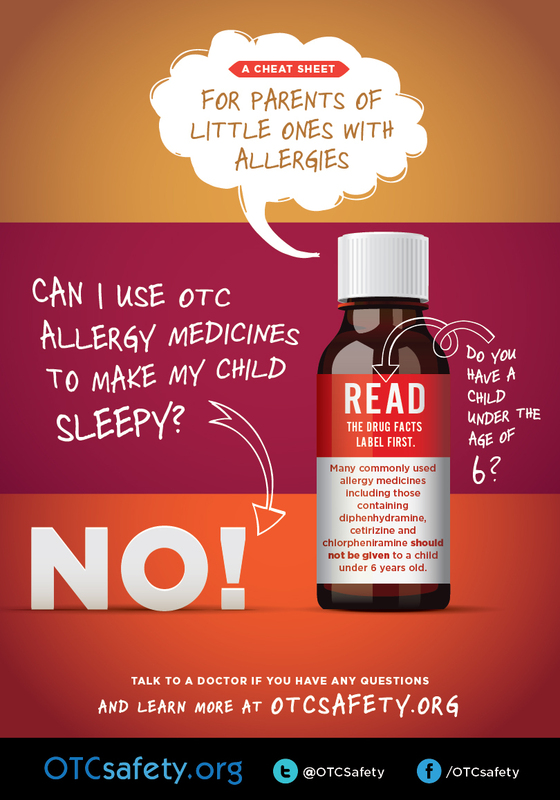 For helpful information about allergy medications, ask your doctor or read about them at OTCSafety.org. Make sure that you’re using allergy medications properly, never to make your child drowsy or to help him or her sleep better. What have been your experiences with allergies in your house? What have been your biggest challenges? I hope you’re able to identify the source of the reaction; that would be half the battle won! I can see how easy it would be to confuse a nasal allergy with a cold! Roshni recently posted…How was your day, Mumma? Stress can be the cause of an almost endless array of symptoms. Although stress is an intrinsic fact of life, it can also be managed effectively so as to not result in serious health issues. Apart from lifestyle adjustments, I’ve found http://musictreatment.com/stress-treatment/ to be very helpful. eller någon annan typ av fri lek välkomstpaket. Hur man startar En spelare måste spela spel utan att ladda ner någon extra programvara. Hey there, I think your blog might bbe having browser compatibility issues. yours is the best I have came upon so far. But, what about the conclusion? Are you positive concerning the supply?